and it's always good to see it. 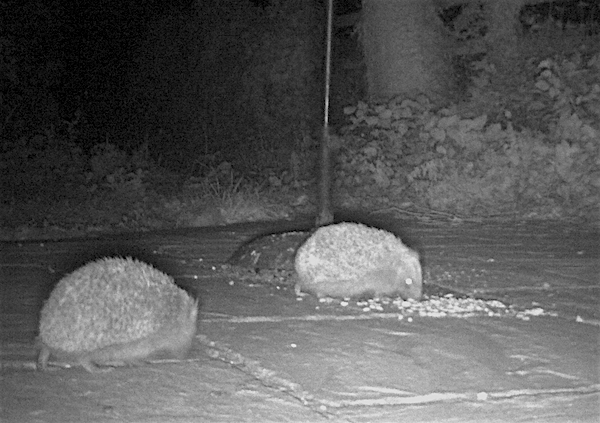 Several visitors come during the night, so I use a "Spycam"
to catch them in the act. putting out cat biscuits nightly, to help them to fatten up for the winter. I always make sure there's plenty of water available as well.